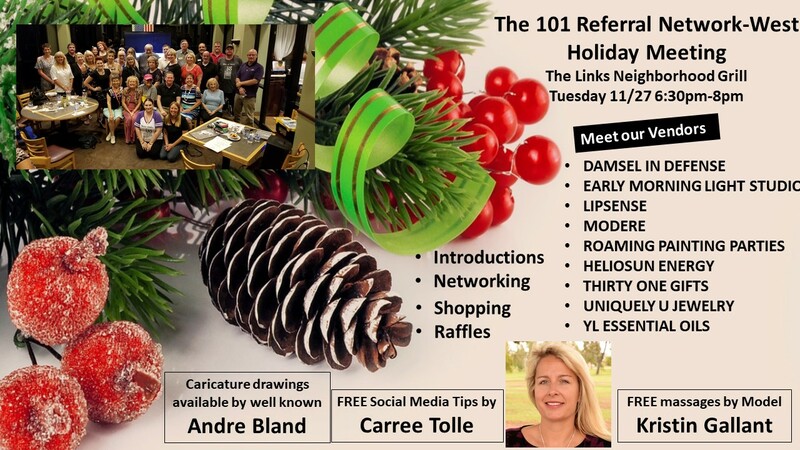 Join us for our The 101 Referral Network-West Holiday meeting on Tuesday 11/27 at 6:30pm. Attendees will be treated to complimentary massages by Kristin Harayda Gallant. Social Media tips will be provided by Carree Tolle of SKYE Digital Media. We require everyone to purchase something from the menu. It’s Taco Tuesday where for only $5 you can enjoy an entire Taco Meal.